Vancouver, British Columbia. – December 18, 2017 – Today, CPDC’s collaborative partner ARTMS Products Inc., the leader in the development of novel technologies which enable the production of the world’s most-used diagnostic imaging isotope, announced it has raised $3 million USD. The investment comes from Quark Venture Inc. and GF Securities, through their Global Health Science Fund, which invests in world-leading health sciences technology platforms and product companies around the world. ARTMS flagship product is the QUANTM Irradiation System (QIS®), a hardware and consumable system that produces technetium-99 (Tc-99m) on medical cyclotrons to enable cost-effective, decentralized, and local production of this important medical isotope. Tc-99m is used globally in over 80 percent of all nuclear medicine imaging procedures in areas such as cardiology, oncology, and neurology. Typically sourced from an aging, international base of nuclear reactors, this important medical isotope has been subject to significant supply disruptions in recent years resulting in serious implications for patient care. ARTMS’ technology, will alleviate these supply issues and help stabilize the global supply chain of this medical isotope, by enabling the local production of Tc-99m using hospital-based medical cyclotrons, instead of nuclear reactors. The technology was developed in collaboration with TRIUMF, Canada’s particle accelerator centre and scientists at three health research institutes across Canada, including the British Columbia Cancer Agency, the Centre for Probe Development and Commercialization and Lawson Health Research. Early stage research funding was provided by the Federal Government through NSERC and the Isotope Technology Acceleration Program (ITAP Program). 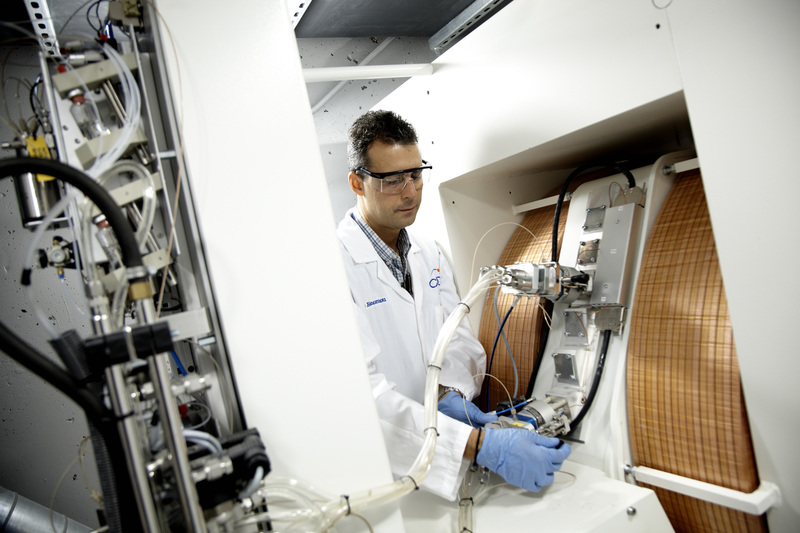 ARTMS will also be developing the Quantm Irradiation System to allow its partners and customers to produce other high value isotopes such as gallium-68 (Ga-68), copper-64 (Cu-64) and zirconium-68 (Zr-89). ARTMS Products Inc. is a leader in the development of novel technologies and products which enable the production of the world’s most-used diagnostic imaging isotope, technetium‐99m (Tc‐99m), using local, hospital-based medical cyclotrons. ARTMS holds the exclusive global commercialization rights toaward-winning and proprietary Canadian inventions which address these challenges, and which offer the prospect of revolutionizing the nuclear medicine industry. Visit our website at www.artms.ca. Global Health Science Fund was jointly established by Quark Venture Inc. and GF Securities in late 2016. Global Health Science Fund is a health sciences venture fund that invests globally in a diversified portfolio of innovative biotechnology and health sciences companies who are addressing unmet medical needs through innovations in drug development, medical devices, health IT and emerging convergent technologies. For information about Quark Venture or GF Securities visit www.quarkventure.com or www.gf.com.cn.